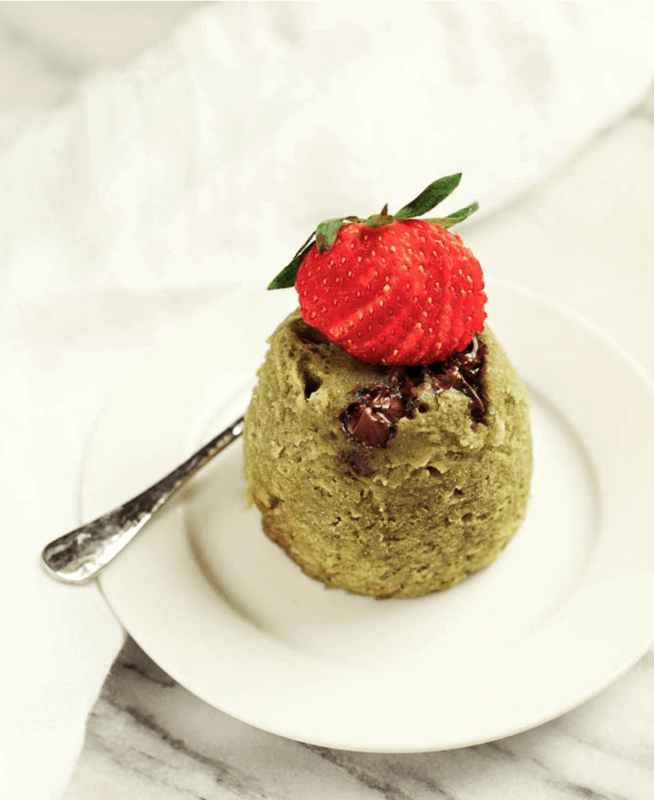 Here’s the complete round up of the best matcha recipes in the paleo community. 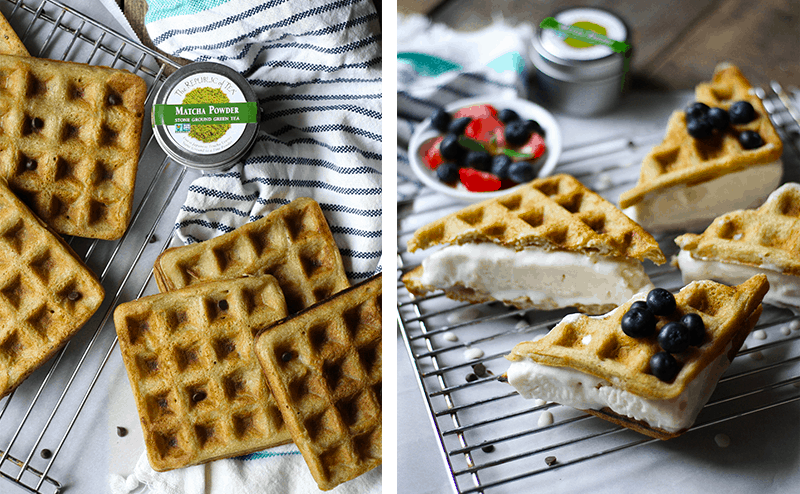 All of these recipes are dairy free, gluten free, paleo, and some are even keto friendly! Look through them all and save your favorites. 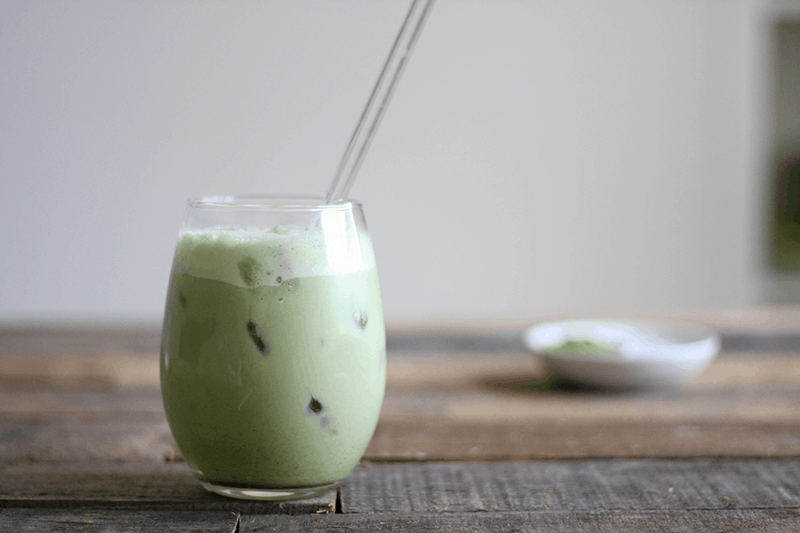 I’ve recently become quite obsessed with matcha recipes, as evidenced by my daily consumption of either this Iced Bulletproof Matcha Latte or this Coconut Matcha Latte. 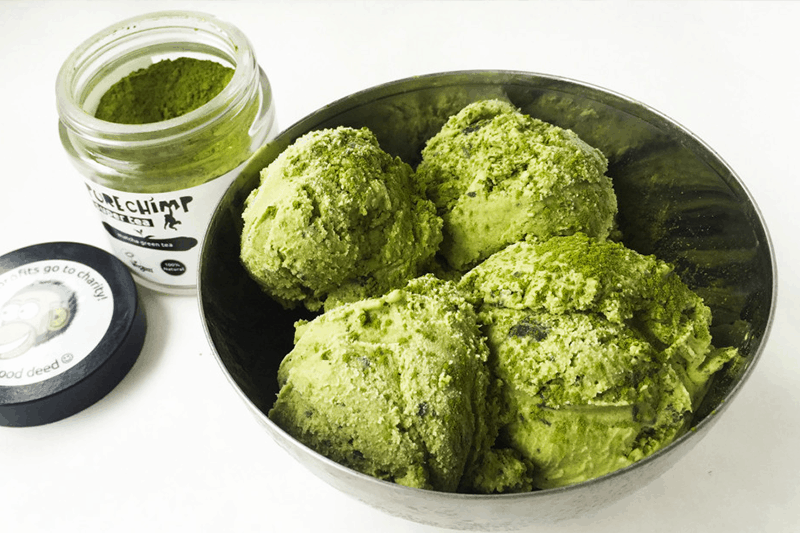 When you read about the benefits of this #superpowder, you’ll realize the matcha’s recent call to fame and superfood status is completely justified. 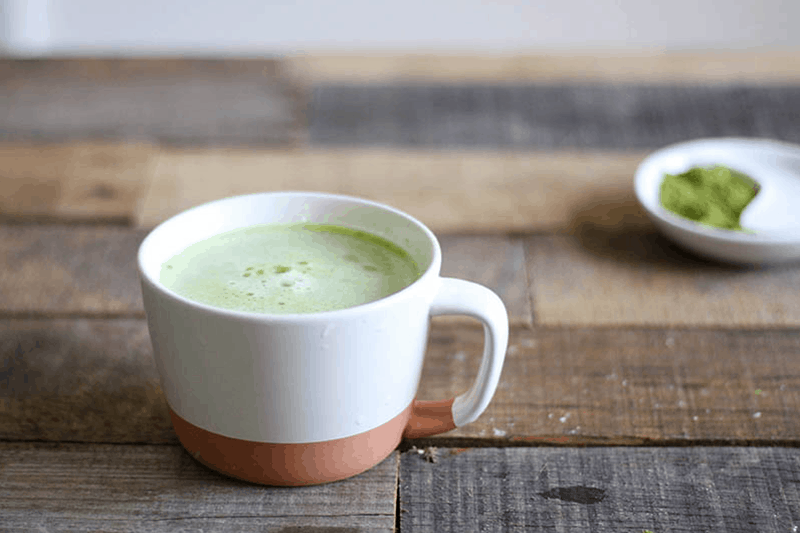 Step aside, loose leaf green tea, because matcha is ten times the powerhouse you are. Literally, just 1 cup of brewed matcha tea is equivalent to 10 cups of brewed loose leaf green tea. Unlike loose leaf green tea, you’ll be consuming a stone ground version of the entire leaf with matcha. This is what accounts for it’s potency in antioxidants, vitamins, and minerals. However, it also means the flavor is more intense. It has a bit of a bitter and grassy flavor, which like most of our other truly great flavors – coffee, wine, hoppy beer – makes it an acquired taste. But, just as it is the case with most acquired tastes, you’ll fall hard over time. 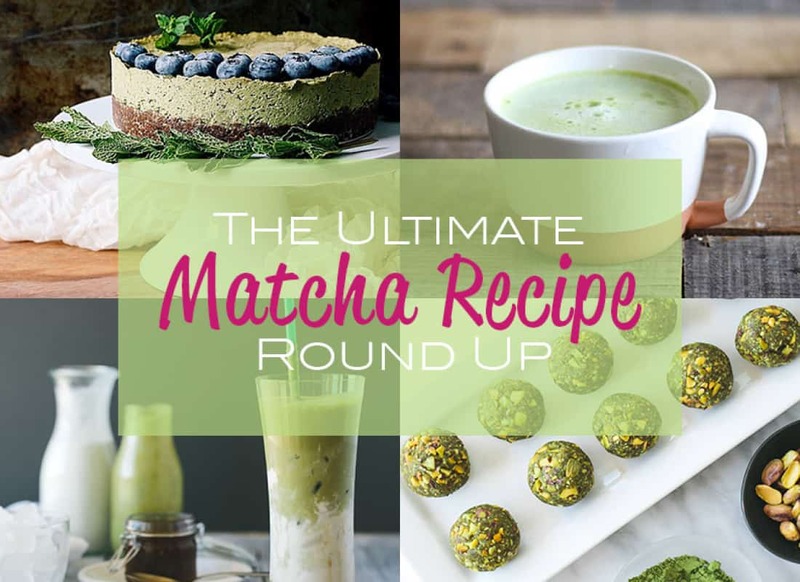 So start out slowly, and increase the total matcha used in these recipes as your palate adjusts. 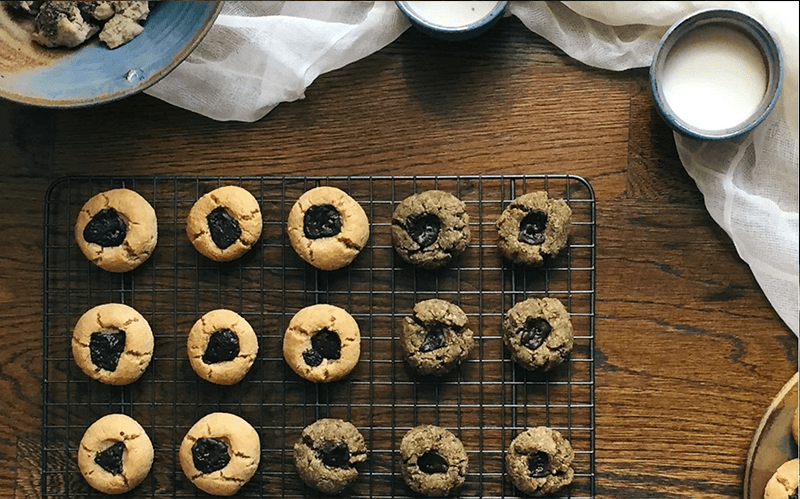 Since you’re likely just here for the matcha recipes, I won’t go into the benefits of matcha in this blog (check out this post if you’re interested in those). I’d love to continue adding to this round up, so if you have a recipe you think should be included, let me know in the comments below! 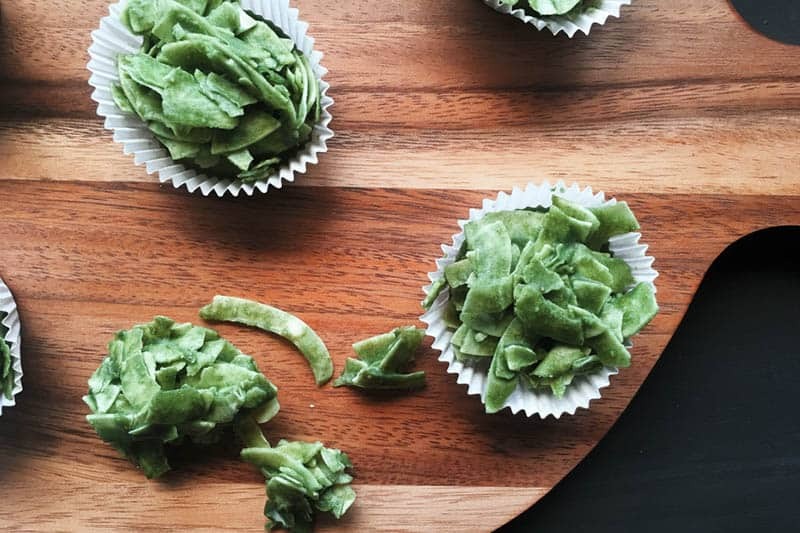 This matcha tart recipe includes two unexpected ingredients to add moisture to the filling, and the result is creamy, sweet, and refreshing. 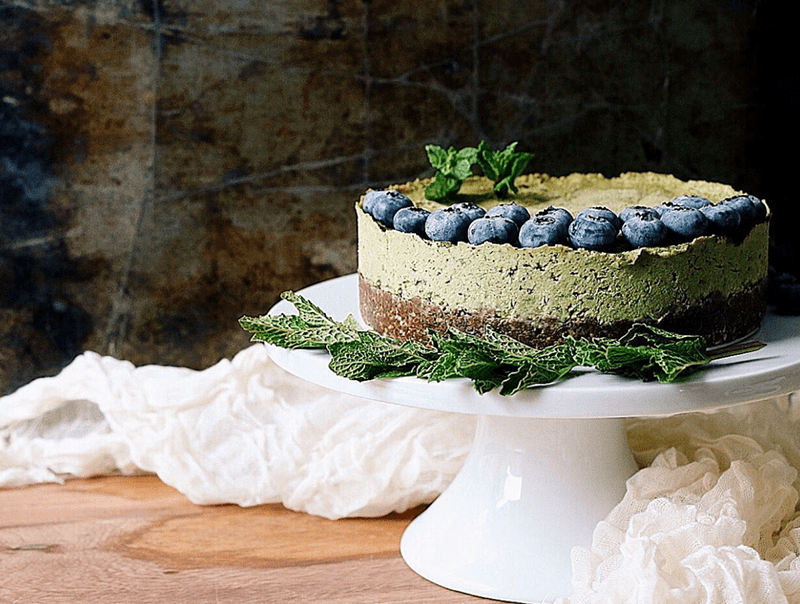 What more could you ask for in a Matcha Chocolate Cream Tart? “I have to admit, at first taste I wasn’t convinced. Matcha definitely has a more “earthy” flavor compared to coffee, but not at all in a bad way.These days, the perfect iced matcha latte leaves me completely satisfied (i.e. not craving my ole go to, Mr. Coffee). 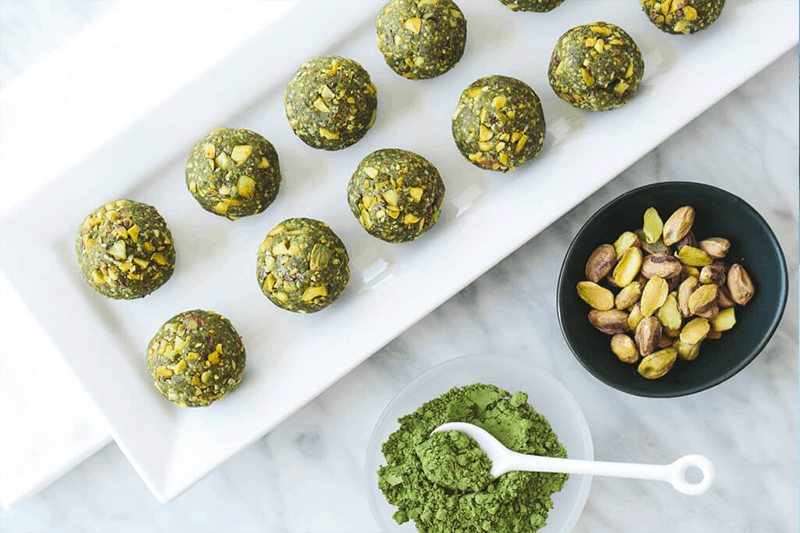 “For newbie matcha friends and lovers alike – you surely can’t go wrong with these pistachio matcha bliss balls. 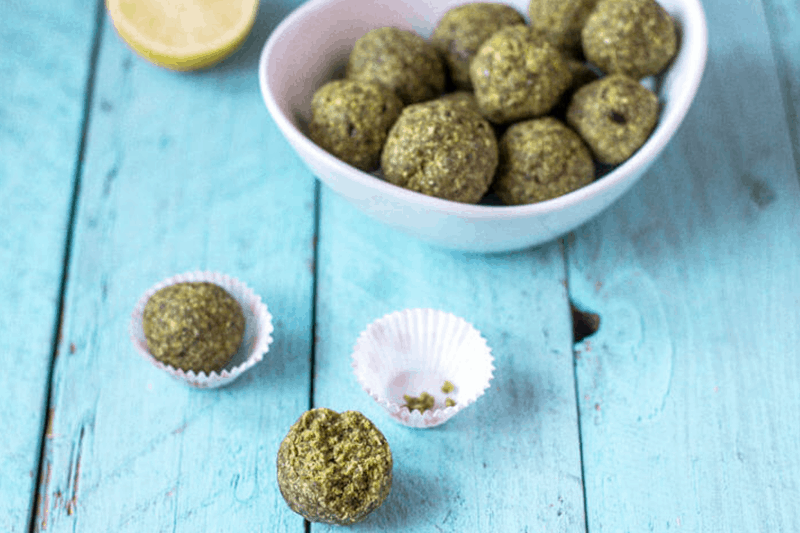 They’re packed with nutrients and antioxidants from the matcha, pisctachios, dates, almonds and coconut. 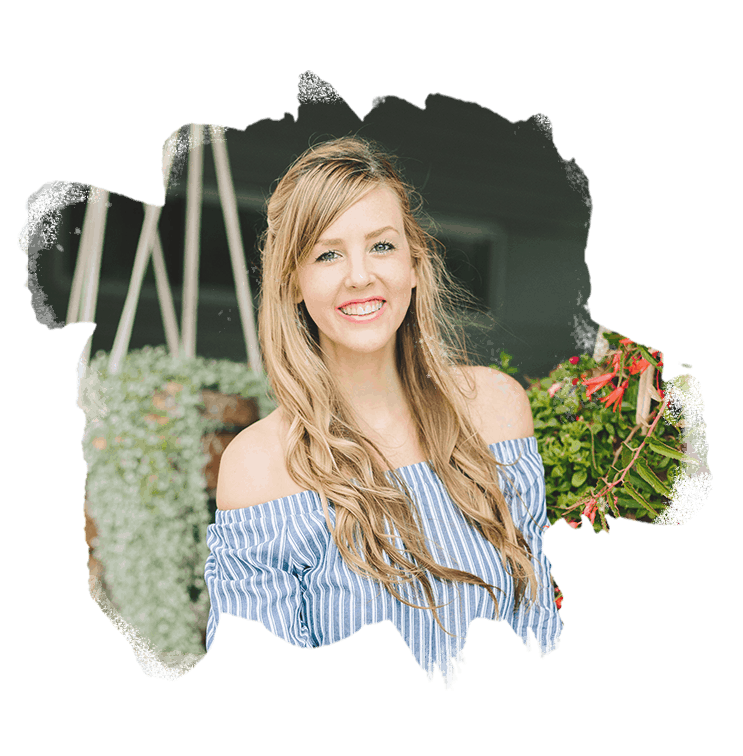 “We’ve all heard of superfoods – foods that are incredibly nutrient dense, and have a long list of benefits. Well, I dubbed the term “superpowder” as a way to describe powdered products of similar status. These superpowders are supplemental to foods, meaning, they can’t really be consumed alone. “Thinking of how I could combine my two latest loves – matcha and salted caramel – this new beauty was born. 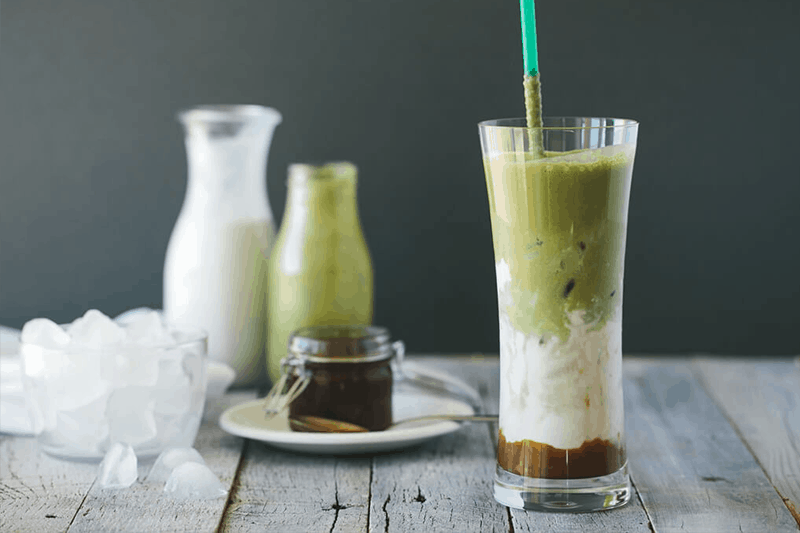 An iced matcha and salted caramel latte. And when you’ve got a delicious beverage that’s dairy-free and friendly for paleo and vegan peeps – you know you’ve got a winner. 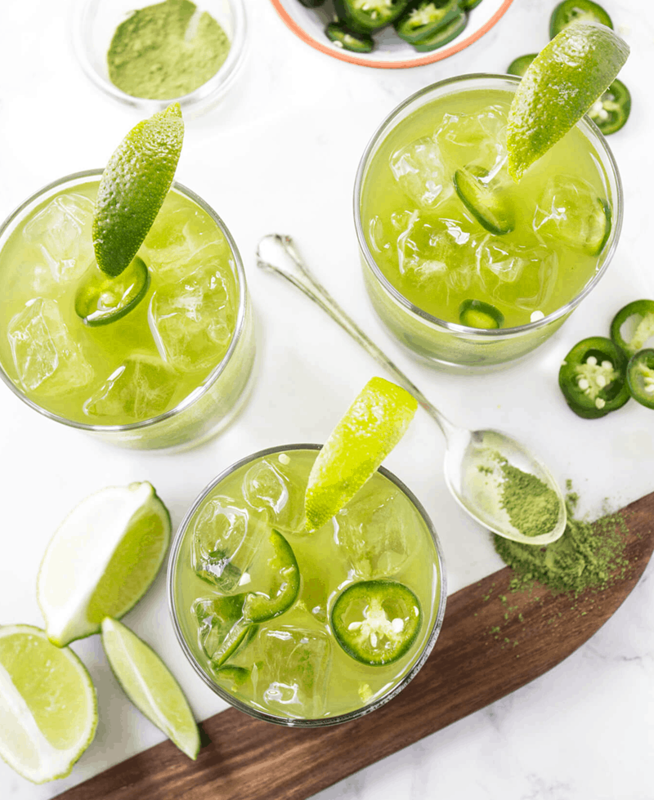 “For now I’m sticking with tequila at home but I’d LOVE to have a well stocked home bar one day. Any tips? I’m covered on the tequila, wine, and brandy front but other than that I’m clueless! “Pine nuts seem to be a popular ingredient and I am happy to discover that they are not only paleo friendly but also a good source of manganese, copper and magnesium. “When you drink green tea, you’re trusting the water to extract beneficial properties from the leaf in its whole form. The problem is, water can only extract a small portion of the beneficial antioxidants, minerals, vitamins, and amino acids from the leaves. Which means, you’re throwing away most of what you bought the green tea for in the first place. 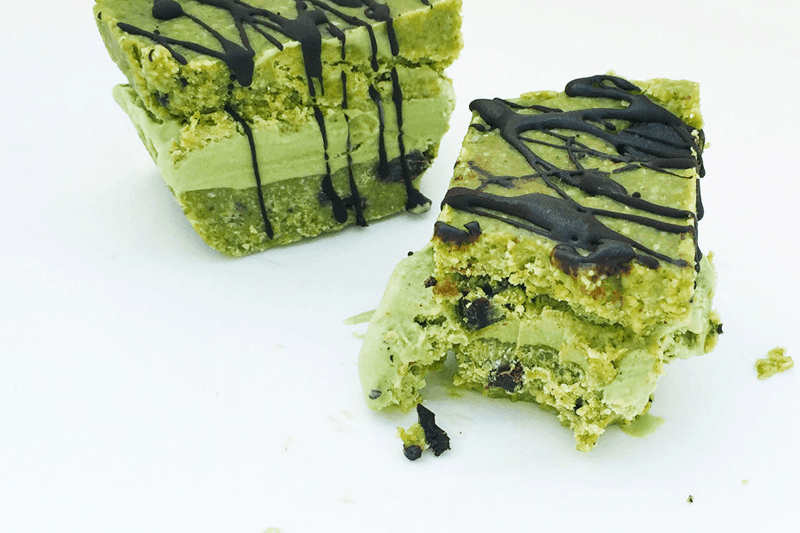 “Bars of dairy-free, keto matcha protein ice cream drizzled with keto dark chocolate. 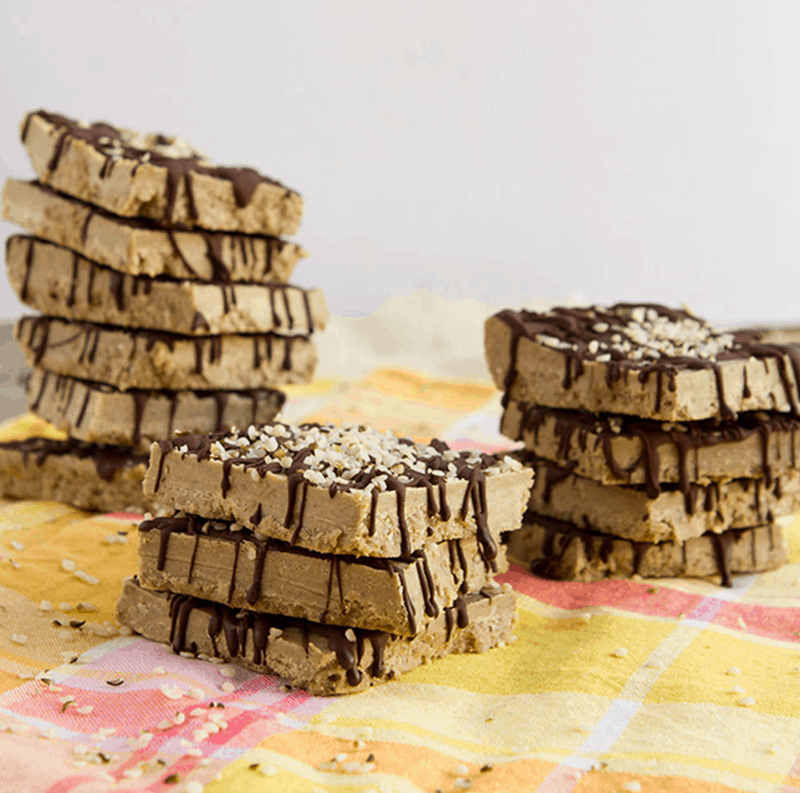 Completely vegan, gluten-free, nut-free, sugar-free, and keto. Bursting with healthy fats for your fat fueled, keto life. “I’m late to the mug-cake party, but how that I’ve started I can’t be stopped. Less than ten minutes to a warm, freshly “baked” cake with a moist, tender crumb? Sign me up… over and over again. I made two or three of these on Saturday and two more on Sunday to perfect the recipe and try out all the variations. Then I woke up this morning with a bad case of the Mondays, and decided to make myself one for breakfast.